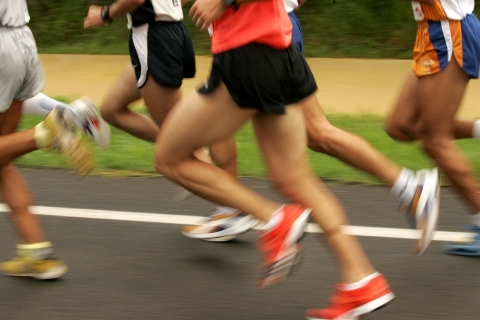 The weather in Arlington is finally starting to cool off, which is the perfect opportunity for runners to hit the road! But what do you do when you’re struggling with runner’s feet? Any type of pain in your foot, especially if you love running, can be incredibly hard to deal with. You’ve tried a brace, you’ve tried different running techniques, and even not running at all, but nothing is working. At Allcare Foot and Ankle Center, our team of podiatrists want you to be able to do what you love, whether it’s running on the trail outside, on a treadmill, or even just walking around the mall or doing errands. We understand that, obviously, you used your feet every day! So when it hurts to walk or run, you need treatment right away! 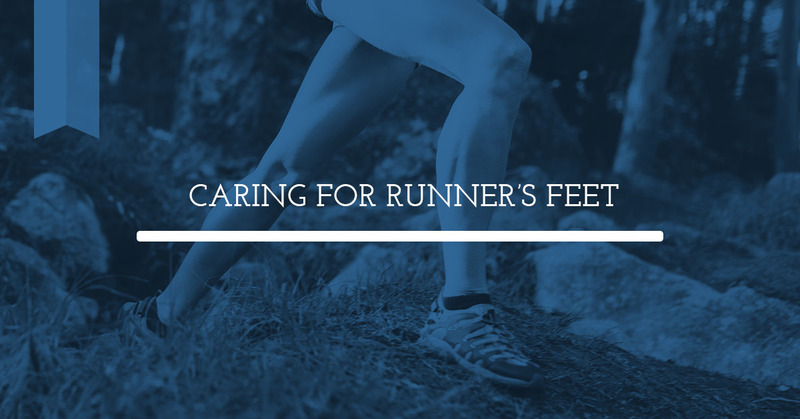 Read some tips on how to care for runner’s feet and if you’re still unable to comfortably run, get in touch with a podiatrist in Arlington today. The wrong shoe can do significant damage to your feet, especially when used long-term. In fact, shoes that don’t fit properly is the leading cause of injuries for runners, regardless of the level they are at. So if you’re trying to get by with a shoe that is slightly too big, you’ll need more than an extra sock. Whether your shoes are too tight, too loose, or too wide, if they don’t feel right, it could lead to a variety of issues, such as calluses, ankle sprain, ingrown toenails, and more. Look for a shoe that is snug, but not tight, and be sure to walk around in the shoes before making a purchase. The right shoes are definitely a good place to start, but don’t stop there. Find a good pair of socks as well. They should be lightweight and breathable in order to prevent moisture. Excess moisture could lead to blisters. Try out a few brands and styles until you find a pair that works with your shoes. When the skin on your heel is excessively dry, and the motions of running on top of it, this combination could lead to heel fissures — when the skin begins to crack and bleed. This situation only gets worse in Arlington’s summer heat when it’s more likely that you’ll sweat, which could lead to further chafing. Using plenty of moisturizer to keep your skin soft will help prevent unnecessary friction. Have you ever noticed that your feet swell after a long run? To reduce the amount of swelling after a run, dip your feet in a bucket of cold water for at least 15 minutes. You could also try raising your legs to keep the inflammation down. Athlete’s foot is essentially a fungal infection, which can be prevented by keeping your feet clean and dry. When left untreated, athlete’s foot can lead to severe itching, pain, and blisters. Even though your feet do have a lot of sweat glands (around 125,000 on each foot), all you need to do is regularly change your socks, keep your toenails short and clean, and consider using antiperspirants on your feet. Speaking of keeping your toenails short and clean, untrimmed nails cause issues too, especially if your shoes are too tight. Long toenails can lead to strain, which can cause blood to accumulate under the nail. Just like your core muscles, your toes need strengthening in order to protect the rest of your body during a workout. Weak toes won’t be able to provide the rest of your body with the support it needs. Try a few toe exercises, such as toe raises, towel pulls, toe flexors, and walking on your toes. Your toes are an area of your body that is easy to massage yourself. After a hard run or even a long day at work, sit down and simply start massaging the different areas of your feet, including heel, arch, ball, and toes. Or if you have a tennis ball, press down on the ball and slowly roll the ball from the ball of your foot back toward your heel. If you feel tender spots, gently add more pressure and work the ball with your foot. 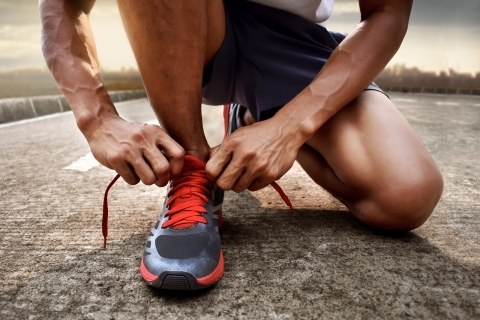 If you’re struggling with runner’s feet, plantar fasciitis, or any other kind of foot issue, get in touch with the podiatrists at Allcare Foot and Ankle Care. We want you to get back to what you love as quickly as possible.